With more and more brands trying to connect with audiences across an array of social channels, the attention span of people is on a decline. Businesses need to quickly figure out what’s best for their audiences in order to generate better engagement and increased brand loyalty. 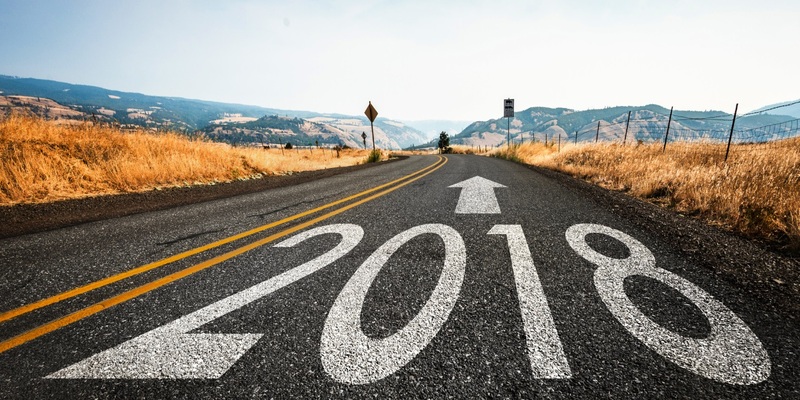 Here are five crucial social media trends that will have the maximum impact on your social media strategy in 2018 and ahead. Snapchat has led to the popularity of ephemeral content. With 10 billion daily video views, no marketer can ignore the platform that Snapchat provides. It is the best way to reach younger millennials and generation Z.
Ephemeral content is short-lived, and the longest it can last is 24 hours. After that, it disappears forever. This might sound scary to marketers, but the considerable popularity it has received so far has forced them to develop strategies for ephemeral content marketing. Content that is short lived is thought to be more authentic versus sponsored ads or spammy posts that lasts longer and push customers into making purchases. The content is lost within hours, so it effectively raises the potential of FOMO (fear of missing out). As a result, audiences take fast action and marketers gain from it. Users can access content easily with the help of Snap Codes or QR codes. Ephemeral content gives you potential customers’ attention, which is undoubtedly the most prized commodity on the internet today. Have a plan in place to reach audiences with the help of an ephemeral content marketing strategy that essentially revolves around producing content (videos and pictures) that is able to engage audiences in the shortest possible time. 84 percent of millennials do not trust traditional advertising, so it does not makes any sense to create content that is written from a selling point of view. People do not like content that is not relevant to them. Instead, content that is personalized and based on user personas is more likely to be read and shared. With buyer personas, you get an exact answer to what your audience wants instead of guessing it. It is much better to prepare content that solves users’ pain points. Know your target market and create a user persona based on the person’s age, gender, education level, income, likes, location, etc. Adopt a storytelling approach and narrate the story in a manner and language that your audiences understand best. Reach out to influencers and ask them to share your brand stories. eMarketer predicted that opinions of around 45 percent of people who buy on the internet are affected by the opinions of other people. Influencers are people who are connected with your audiences at a personal level and can provide the best engagement, often leading to direct sales, with simple recommendations. Platforms like Influence.co can help find influencers related to a particular niche. Moreover, contacting influencers also brings search-engine-optimization gains, as brands are able to reach a much wider audience in the shortest possible time. Engage with the audiences on a personal level. Comment on their posts, share their voices, tag them and respond to them when they need you. Gartner predicted that by 2018, around 30 percent of our conversations will be assisted by machines. A chat bot is a software application built to simulate a human-like conversation. It is like a friend to the customer. It assists people 24/7 and helps improve revenue by building lasting relationships with potential customers.